A continuation of the Marvel Cinematic Universe (MCU), 2016’s Doctor Strange allows a new-to-movies character to debut. 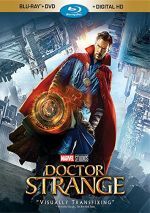 Neurosurgeon Stephen Strange (Benedict Cumberbatch) loses his ability to ply his trade after a terrible car accident. Strange pursues a mix of cures for his mangled hands, and this eventually leads him to Nepal, where he studies mystical arts under the Ancient One (Tilda Swinton). We follow Strange’s growth in this realm as well as a course that leads toward conflict with Kaecilius (Mads Mikkelsen), another former student who now uses his skills for evil. Back when I was a teenager, I fell hard for superhero comics. I would read virtually everything that Marvel and DC produced – even if I didn’t really care for the characters, I was enough of a fan/”completist” that I checked out every mag each month. Though I read Doctor Strange, I admit I never felt much of an affinity for the character. I read those comics out of a weird sense of “obligation” – I can’t claim I disliked the experience, but Strange fell low on my list of “must-reads”. Logically, this meant I didn’t feel a lot of enthusiasm for the movie, as my attitude hasn’t altered over the last 35 years or so. My tastes have changed in many ways since I was 14, but not when it comes to superheroes, as I like – and dislike – the same characters I enjoyed/didn’t care for back then. That said, I certainly kept my mind open that Strange might work better than I expected. The movie got pretty strong reviews, and given the solid track record of the MCU, I figured it could exceed expectations. Nope. Like the comics I read in the 1980s, Strange musters decent entertainment value and keeps me with it, but it falls short of superhero greatness. Much of this comes from a certain “been there, done that” feel. Let’s face it: we’re nearly 10 years into the MCU, so it’s become more difficult for them to put a new spin on tales that can be inherently similar – especially when their characters debut. That’s because movies like Strange need to devote a lot of cinematic real estate to the inevitable origin story. A second or third chapter can pick up without much exposition, but first films must introducer the characters and relate how they became superheroes. That inevitably forces these “first chapters” to use similar narrative structures, and some tedium results, partly because it becomes more difficult for the movies’ villains to offer much impact. A second or third film enjoys enough running time to develop themes and baddies well, but an intro uses up so much space with the main character that the rest of the plot gets short shrift. Actually, Strange does fine in that regard, as it manages to depict the threat of Kaecilius reasonably well. Still, the predictable nature of the storytelling becomes a bit of a drag, as we sense a certain déjà vu after all the other MCU films. Strange tells our doctor’s origins in an efficient but not particularly involving manner. Really, the movie mostly works fine but it simply never manages to ignite. It lacks much personality, as it takes a cliche "hero's journey" narrative and packages it with visuals borrowed from Inception. The film keeps us moderately involved but it can’t leap off the screen in a dynamic manner. Like the other MCU flicks, Strange boasts an excellent cast, and they’re good across the board – except for Cumberbatch’s terrible stab at an American accent. While Cumberbatch handles the rest of the role well, he creates a truly awful accent, one that constantly remains a distraction. I never got used to the actor’s odd, self-conscious intonations, and that distracted from the rest of the film. Would I have noticed Cumberbatch’s bad accent less if the movie involved me more? Probably. 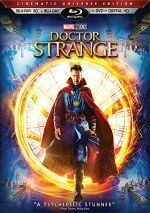 As it stands, Doctor Strange presents a “B-“ superhero film, one that manages a decent level of action and intrigue but not one that measures up with the stronger efforts. Footnote: like other MCU films, Strange comes with bonus scenes. The first comes midway through the end credits and points toward 2017’s Thor: Ragnarok. The other pops up after the end credits conclude and seems to lead the way for the second Strange film. Doctor Strange appears in an aspect ratio of approximately 2.39:1 on this Blu-ray Disc. The Blu-ray appeared to replicate the source material nicely. Like most modern action movies, Strange went with a stylized palette that favored orange and teal. These choices seemed tedious, but the disc replicated them as intended. Blacks appeared deep and dark, while shadows displayed good clarity and smoothness. Overall, I liked this consistently positive presentation. With its action orientation, the DTS-HD MA 7.1 soundtrack of Strange also worked well, as the movie boasted a wide and involving soundfield. This showed up during scenes both loud and quiet. During the latter, music offered nice stereo presence. Various environmental elements displayed quality localization and involvement. In addition, audio quality was strong. Music appeared vivid and full, with crisp highs and rich lows. Speech was concise and natural; no issues affected the lines. Effects appeared to be accurate and lively. Those elements lacked distortion and they boasted nice low-end during their louder moments. Overall, I felt pleased with the mix. As we head to extras, we begin with an audio commentary from director Scott Derrickson. He presents a running, screen-specific look at how he came onto the project and his approach to the material, visual design and the influence of the original comics, cast and performances, sets and locations, story/characters, visual effects, and related domains. Derrickson delivers an unusually insightful and introspective commentary. While he gets into various nuts and bolts of the filmmaking process, he spends more time with the “whys” of the processes, and he isn’t afraid to delve into controversies such as the casting of Tilda Swinton. Derrickson makes this a terrific discussion. Derrickson appears again with an optional introduction to the movie. In this one-minute, six-second sequence, the director welcomes us to the film. He doesn’t give us anything substantial, but it’s a painless opening. 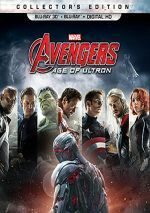 Under Featurettes, five clips appear. With a total running time of 58 minutes, five seconds, we find “A Strange Transformation” (9:42), “Strange Company” (12:37), “The Fabric of Reality” (12:32), “Across Time and Space” (13:21) and “The Score-cerer Supreme” (9:51). Across these, we hear from Derrickson, executive producers Charles Newirth and Stephen Broussard, executive producer/head of post-production/VFX Victoria Alonso, costume designer Alexandra Byrne, production designer Charles Wood, fight choreographer Jonathan Eusebio, composer Michael; Giacchino, producer Kevin Feige, property master Barry Gibbs, senior props painter Philippa Ashcroft, set decorator John Bush, magic choreographer Julian Daniels, visual effects supervisor Stephane Ceretti, 2nd unit VFX supervisor Geoffrey Baumann, and actors Benedict Cumberbatch, Tilda Swinton, Mads Mikkelsen, Chiwetel Ojiofor, Rachel McAdams, Benedict Wong, Zara Phythian, and Scott Adkins. The shows go over story/characters and the adaptation of the source, cast and performances, sets and locations, various effects, costumes, stunts and action, and music. As expected, there’s a fair amount of happy talk here, so you’ll hear the participants tell us a lot about how great the movie and all involved are. Still, the featurettes cover a good array of topics and they do so well for the most part, as they examine different areas with reasonable depth. Next comes an “exclusive look” at Marvel Studios Phase 3. 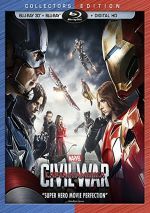 This presents a seven-minute, 28-second piece with notes from Feige, Alonso, Cumberbatch, Broussard, executive producers Jonathan Schwartz, Louis D’Esposito, Nate Moore, Brad Winderbaum and Jeremy Latcham, filmmakers Ryan Coogley, James Gunn, Anthony and Joe Russo, and Taika Waititi, and writers Stephen McFeely and Christopher Markus. “Phase 3” looks at four of the next handful of MCU movies that will hit screens: Thor: Ragnarok, Guardians of the Galaxy Vol. 2, Black Panther and Avengers: Infinity War. Oddly, it omits 2017’s Spider-Man: Homecoming. In any case, the whole featurette offers nothing more than promotional material, so we don’t get any substance about the films. For something with a comedic bent, Team Thor Part 2 runs four minutes, 38 seconds. Shot during the production for the next Thor movie, this shows how Thor (Chris Hemsworth) spent his time during Captain America: Civil War. It’s pretty funny stuff. Five Deleted and Extended Scenes take up a total of seven minutes, 52 seconds. We get “Strange Meets Daniel Drumm” (1:01), “Kaecilius Searches For Answers” (1:37), “The Kamar-Tai Courtyard” (1:54), “Making Contact” (1:59) and “Lost In Kathmandu” (1:21). The various scenes add a little exposition and character information but not much else. In that realm, they serve a purpose, but I can’t claim any of them bring anything especially memorable to the proceedings, so they seem pretty ordinary. A Gag Reel lasts four minutes, 12 seconds. It offers a pretty standard collection of silliness and joking. If that sounds good to you, have a party! The disc opens with an ad for Guardians of the Galaxy Vol. 2. Sneak Peeks adds promos for Marvel Contest of Champions and Marvel Future Fight. No trailer for Strange appears here. A second disc provides a DVD copy of Strange. It comes with none of the Blu-ray’s extras. With 2016’s Doctor Strange, the Marvel Cinematic Universe continues apace, though not with its “A-game”. While the film manages to introduce the character with reasonable style and intrigue, Strange lacks the juice to become one of the better MCU films. The Blu-ray boasts very good picture and audio as well as supplements highlighted by an excellent commentary. Marvel fans will enjoy Strange but they shouldn’t anticipate greatness from it.